Ever since twins, Rebecca and Ruth Brown, were in middle school, they had always loved history and the War Between the States. That’s when they dreamt of creating a museum in Gettysburg to share their passion with others. 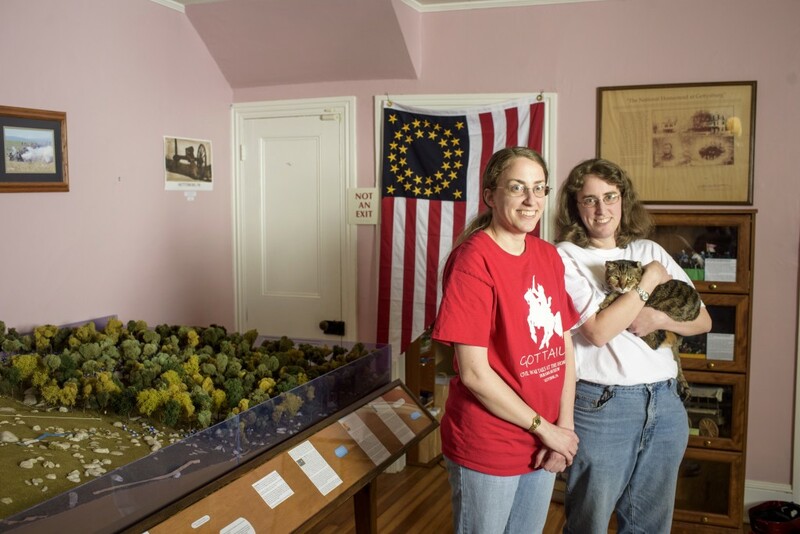 Their dream eventually came true when the twin sisters opened Civil War Tails, a collection of scale-model battle dioramas that includes Fort Sumter, the Battle of the Ironclads and their masterpiece, Pickett’s Charge, which includes 1,900 cat soldiers. The cats, an inch or smaller, were sculpted in clay by the 32-year-old sisters, then baked in a 225-degree oven. The choice of figurine was born of necessity more than devotion, although the sisters like cats plenty. “We just don’t make clay people as well as cats,” Rebecca says. If you like American history and cats, be sure to visit Civil War Tails and get a perspective of the war if cats were involved in the fighting. Chances are if cats really fought, they would have taken a nap, played with a ball of yarn, and meowed for food until someone fed opened a cat of cat food for them. To read more about Civil War Tails, click here.